For those of you who printed the BOGO Old Orchard Juice coupon on March 12, below is a deal to get it at Macey’s for as low as $0.50 each. You could also price match at Walmart. 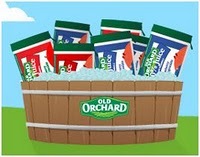 If you missed printing the coupon, Old Orchard on Facebook still has a $1.00/4 coupon. You’ll need to join their Fan Club to print the coupon.